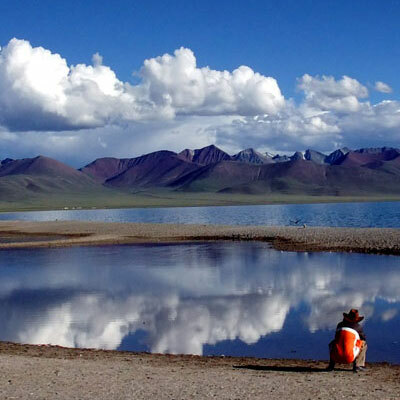 Kailash Mansarovar overland tour is one of the most adventurous and holiest tours in Tibet offers a magical blend of holy experience, spectacular landscapes, breathtaking passes, turquoise lakes and majestic view of Mt. Kailash. We are the local specialist in Small group departures and leading travel company in Nepal offering Mount Kailash tour with decades of experience and vast knowledge about the region. Join us on our fixed departure dates for 2019. 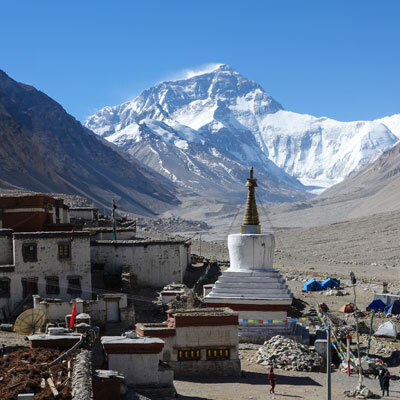 We are also organizing 13 days Kathmandu Lhasa Kailash group tour by flight and deluxe bus from Lhasa to Mount Kailash and Lake Mansarovar, so if you are interested in fly in/fly out with overland tour from Lhasa to Kailash then please visit our Kathmandu Lhasa Kailash overland tour special page. Kailash Mansarovar overland tour begins in Kathmandu, the capital of Nepal and leads you to one of the most revered holy sites on the planet. 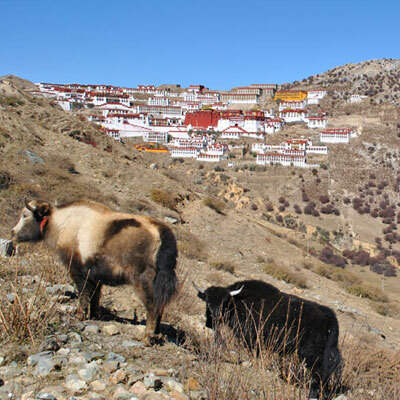 The Hindus, Buddhists, and Bon followers all believe that a walk around Mt. Kailash erases all the sins of your life. Mt. kailash is situated in the far western corner of the Tibetan Plateau which is very remote part of Tibet, reachable after couple days of adventure and scenic drive crossing the several passes and typical Tibetan alpine villages. 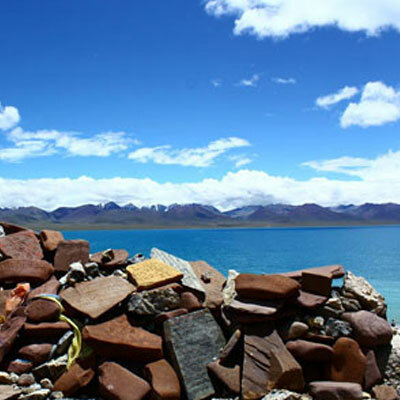 Kailash Mansarovar Overland tour also takes you to Lake Mansarovar, another extremely beautiful turquoise lake close to Mt. Kailash. You can have an experience more about religion and culture as you walk by around this turquoise lake with both Hindus and Buddhists Pilgrims. Visit to various Buddhist Monasteries around Mansarovar and Kailash. 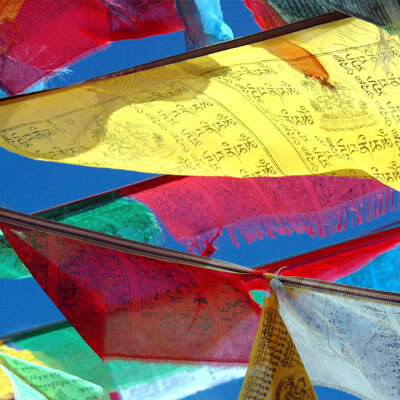 Visit to the Tibetan Flag area in Tarbuche, at the foot of the Sky Burial Ground, where the famous Saga Dawa festival in honor of Lord's Buddha's Birthday is celebrated is on a regular plan. Yama Dwar – The entrance door to the Valley of the Gods presided by the Lord of Death, all comes while trip is ready to start for the Parikarma. Visiting Dolma La Pass, the highest point of the journey, dedicated to Goddess Tara. Visiting the famous Caves of Miracles related to Milarepa at Zutulpuk. Day 02: Trip preparation day with a half-day sightseeing of Kathmandu city. Day 04: Rest day in Kerung for a proper acclimatization. Day 05: Drive from or Kerung to Saga or New Dongba (4600 m), 220 km, drive 6 hours. Day 11: Drive back from Paryang to Kerung (2700m). Day 12: Drive back to Kathmandu (1350m). Upon your arrival at Kathmandu airport, one of our team leaders will greet you and transfer to hotel. We will provide you a typical Nepali dinner with live cultural show. Overnight at hotel. After breakfast, you will do a half day long sightseeing in Kathmandu including Pashupatinath temple and Buddhanath Stupa. After lunch we will have a time for final preparation for Kailash pilgrimage tour i.e. checking the equipment which will be used during the tour. If you need to buy a few things or rent something, our staff will assist you. In the evening, Chinese visa and Tibet permit will be handed over and brief you about the trip. Overnight at Hotel. Today is the first day of our adventure and holy trip to Mt. kailash. After an early breakfast at hotel, we start a scenic 8 hour journey to Tibet boarder. We cross the friendship bridge and meet our Tibetan guide and drivers. After all the immigration and custom formalities at the Chinese check post here, our journey continues to Kerung Village. We will spend the night at basic guest house. Today is a rest day to have a proper acclimatization. Leisurely walk or we will be going for short trek which is in preparation for Kailash trek and it helps us to acclimatize fast. Overnight at guest house. After having early breakfast, we will be ready for the longest driving day. 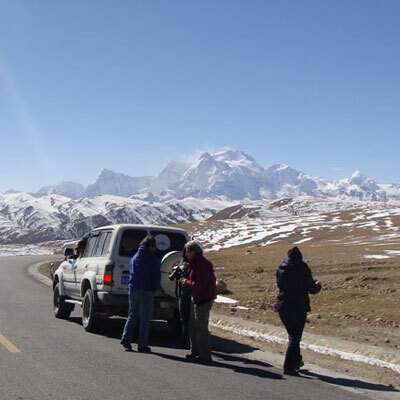 Start a amazing drive to Mansarovar, en route we would be able enjoy the first view of Holy Mt. Kailash and Lake Mansarovar. We drive further to holy Mansarovar (4550m), the highest lake of fresh water with turquoise complexion in the world is full of fishes and swans. Holy Mt. Kailash, Mt. Gurula-Mandala, Lake Rakshash are lying on its surrounding. Overnight at guest house near Mansarovar Lake. After breakfast, explore the holy Mansarovar - the lake of compassion, tranquility and bliss may take in the real spiritual world. After the morning excursion, we will move towards the Holy Mansarovar circuit by Land cruiser with packed lunch and continue drive towards Darchen. If time permits, we visit Chui Gompa. Darchen is considered as a base camp for Holy Kailash trek. During the auspicious pilgrimage time, this place will be flooded with pilgrims with hundreds of tents all around. Overnight at guest house in Darchen. Total hiking: 22km, 8-9 hours. The hardest day of the pilgrimage tour is also the holiest. We cross a rocky uphill dotted with stone cairns draped with the clothes left as offerings by pilgrims who have come before us. Further hiking ascents up to Dolma-La pass (5700m) and a marvelous sight of Gaurikunda, after a short break at the top of the pass we will head down the steep trail (two and half hour) and walk on a flat river valley (two and half hour) to our eventual campsite at Zutulpuk monastery (4790m), site of the cave of miracles where the greatest Tibetan yogi Milarepa meditated and developed the powers of flying. Along the way we will be having wonderful sights of high peaks, streams, waterfalls and mountain caves. Total Hiking: 15km (4-5 hours). On the last day of Kailash trek, a three-hour gentle downhill walk along the river brings us to where it emerges onto the Barkha plain. Our jeeps will be waiting us there, then drive to Mansarovar fill up spiritual jaal, later our tour starts back for Kathmandu following the same route and same system applies for all subjects of our accommodation and meal Overnight stay at guesthouse in Paryang. On the way we will see the beautiful Pigutso Lake, enjoy good view of Himalayan range including Shisapangama. Overnight at Guesthouse in Kerung. OR you may extend the stay at Kathmandu for Mountain Flight, Manakamana road trip, or Muktinath tour by Helicopter/flight, Pokhara. Alpine Eco Trek and expedition (P) ltd. http//:www.alpineecotrek.com is ready to assist you in any trips. Our website contains as much information as possible about Kailash & Mansarovar overland tour. However, if you have any questions regarding trip, please feel free to contact us. We answer all enquiries within 24 hours. If you want to book a trip, you can send us an email or contact us directly by phone: 0977 98510 36844 (Ram Kumar Adhikari).